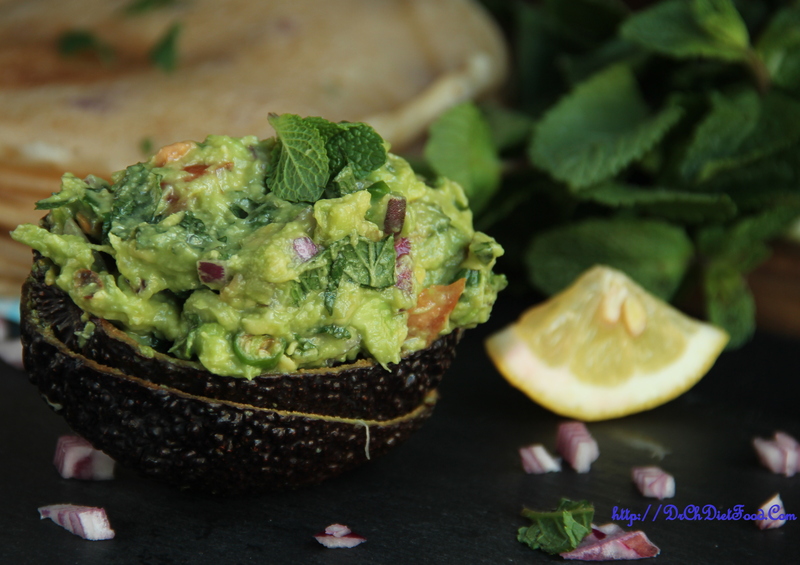 This is one simple and delicious guacamole recipe with minty flavour. Guacamole is one of my favorite things. I love it as a dip, slathered on a piece of bread, along with any number of recipes, or even as a topping on a simple salad. The perfect dip for tortilla chips. 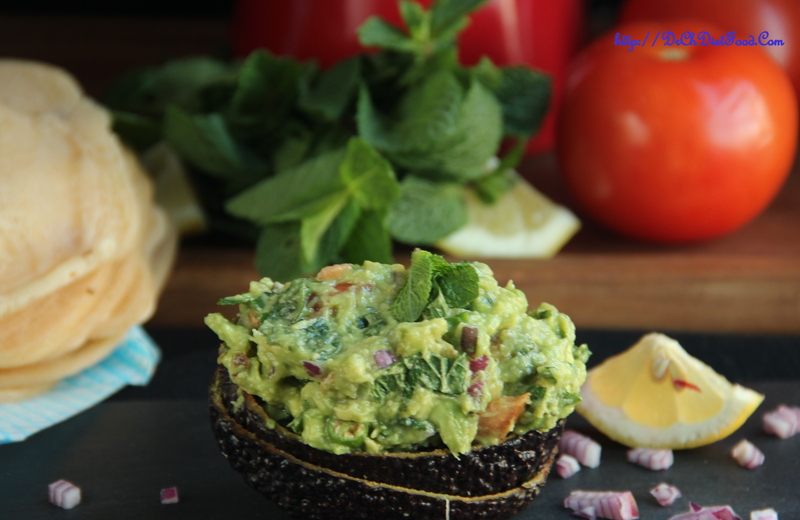 The avocado is a mild flavoured fruit that is great by itself but its mildness is easily influenced by other flavours. Cut avocados in half and scoop pulp into a mixing bowl and mash it with a fork. Now this this mashed avocado add onion, tomatoes, jalapenos, garlic. Squeeze in lime juice, season with salt mix well. Serve immediately or store in a container in the fridge until ready to serve. Posted on May 9, 2015, in Dips, International. Bookmark the permalink. 33 Comments. We also make a lot of Guacamole here in Mexico. We eat avocado daily and I am blessed to have 2 of my own avocado trees in the yard. Your ingredients are the same as we use in one of our guacamole recipes except we chiffonade the mint. I find it interesting that our countries are so far apart yet some of our recipes are so very close. Gotta try this one sounds delicious! Hi Chitra – I always resort to fresh coriander on guacamole so I agree with earlier comments – I’ll have to try adding mint too! Thank you Laura…. please let me know when you get to try this…. curious to know as how you liked it… ! Never added mint to guacamole, will try it next time Chitra!! Brillant idea to add mint 🙂 to the Guacamole! !